Imagine being on a run-of-the-mill flight and suddenly finding yourself torn from your seat and pushed out the door. The recent economic collapse was a bit like this for some. 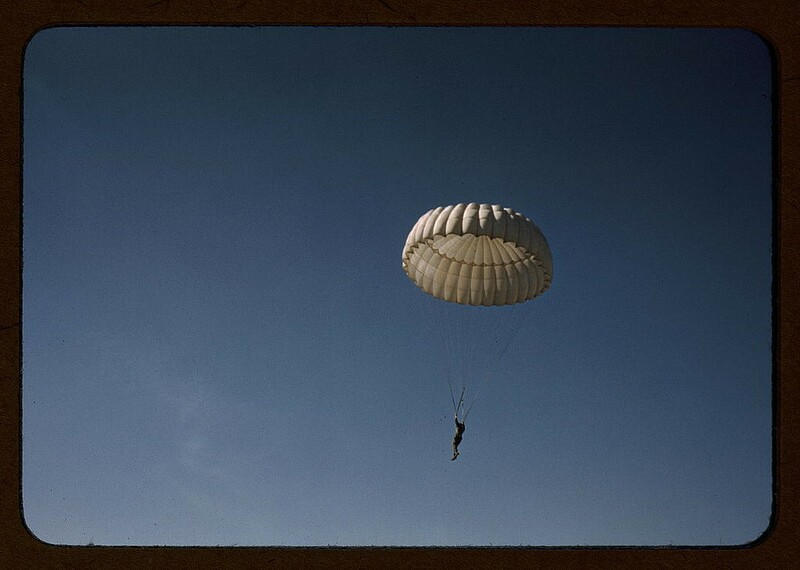 A lucky few were fortunate to realize that they had a parachute, and that their new destination was more agreeable than where they had previously been headed. We often gravitate toward comfortable situations and find ourselves taking the familiar for granted. This can lead us to miss out on experiences, while simultaneously robbing others of having their kick at the can. Consider your job. Upon being awarded the position, you were one happy camper. You called Mom to tell her the news, met friends for celebratory drinks, and experienced the light euphoria that a new adventure brings. Day by day, the position became more comfortable. You started to feel at home in it. The things that intimidated you became commonplace. Eventually, it didn’t even seem that exciting; instead, it was just a job. Given a long enough time span, any activity will lose its luster. Your actions at these times make the difference between leading a brilliant life or an ordinary one. Thoreau puts the odds against you, noting, “The mass of men lead lives of quiet desperation.” I say it’s more a matter of learning to recognize situations and deciding to react to them deliberately. More than that, I feel we all need to have an escape plan. Nothing gets you down like thinking that you don’t have options. This belief will form an invisible cage around you, leaving only a shadow of your former self. You have been, or seen, this person before. Their eyes are deadened, they move without spirit, and they wear no joy on their faces. This is no way to live a life. For those individuals being tossed off the plane, there was likely a moment of sheer horror at the outset. This likely gave way for those who learned of their parachutes. Imagine the excitement and thrill of realizing that they were OK—and that they had a world of opportunities unfolding before them. An escape plan is a blueprint for an alternative path. Having one doesn’t mean you’re leaving behind, or that you dislike, where you’re at. Instead, it’s a continual reminder that you have options. Knowing this leads you to prepare (e.g. saving a little money, should you need to act) and provides a potential course of action for any dire situations. It also slows you from taking today for granted. What you’re doing will come to an end. In the meanwhile, you’d best learn from it all you can. This means you can be here now, and move on to new experiences having wrung all the life you could the times that came before. Along the way, you might even like to plan some mini-escapes in the form of walkabouts, sabbaticals, and unexpected excursions that force you to explore new territory. There’s nothing wrong with a little comfort, just so long as it doesn’t become suffocating. Expressed beautifully. I agree, it’s the perceptions of having options which makes so much difference, and options are usually there waiting just outside your everyday line of vision! There’s the tricky part: seeing the suffocating comfort before it quietly crests over your head. Even being miserably underemployed can translate into “comfort” – making an escape plan before you need it is a brilliant idea. I was sitting in a boardroom several years ago in what had become a weekly mundane meeting. I could not stop tapping my foot or tapping my pen on the table. I had hit a breaking point. So I left the meeting, went back to my desk and typed my resignation. But I was ready for it. And it was an awesome feeling. I had planned to wait another couple of months but that meeting pushed me over the edge. I had spent two years planning my escape from a very political, corporate, and overall boring job. My escape required starting a new business on the side, utilizing at least two or three lunch hours a week for meetings, and working 1-2 hrs a night and 8-10 hrs per weekend over the two years. I actually considered doing both jobs indefinitely because the money was so great. But I finally had to take the leap. It was totally worth it. I’m 4 years into being fully self employed and it was totally worth the effort. I have far more stability, fun, and peace now than I had then. Sad thing is (and I had no idea at the time) but they let half of my department go about 4 months after I left. I’ve been struggling with unemployment because my Master’s degree does not override the fact that I have had no experience to speak of for the last nine years besides raising my child and getting my degree. An article here had actually spurred me on to think outside the employment box and I began volunteering my time for things I am well qualified for and capable of. I was not raised to think of giving my time away like that, but I am so glad I stepped outside my comfort zone. Volunteering has not just given me something extra to put on my resume — the experiences have transformed my life. I went from the despair of unemployment to feeling blessed to be able to give of myself to others. The rewards of engaging with the community are invigorating. Work to discover or rediscover those unfamiliar paths. It’s appealing to imagine it as an escape from mundane reality, but I think of such actions as being more true to ourselves.